The company has worked on enabling developers turn their existing Android, iOS, Web and even .NET and Web32 code to the Windows Store ready apps. It boils down to a new added ability to reuse various existing application code and repurpose it as a Windows universal application. For anyone unfamiliar with the term, this is how Microsoft refers to its new application ecosystem. 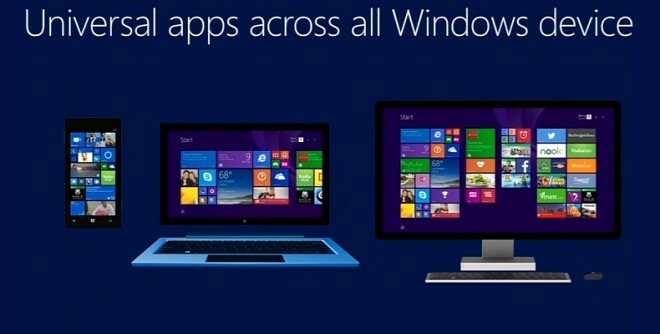 It consists of apps that can run across every device with Windows 10, form your PC all the way down to your phone. The cool thing is, that it is essentially the exact same code, exact same application that is running on all the devices without any change. This gives developers a whole new level of exposure and lets them develop once and then distribute to PCs, phones and even the Xbox One. First up are websites and platforms. Windows 10 allows web developers to turn an existing website into an application. The added benefit is that as an app, the said website can be extended to benefit form a lot of new Windows 10 functionality, like notifications, purchases and even Xbox Live achievements. This by all means isn’t a groundbreaking concept. Google, for example, offers websites the ability to generate notifications as well, but it seems Microsoft has taken this integration to a whole new level. 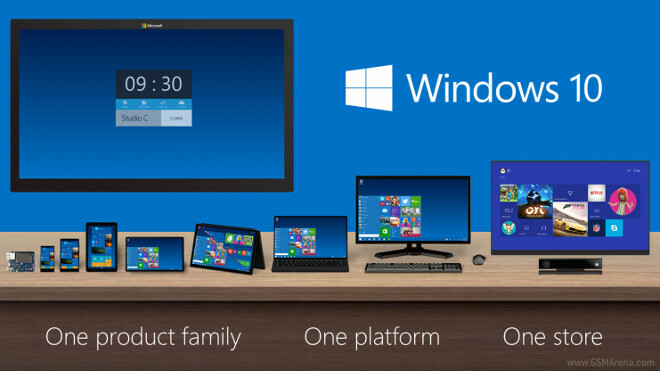 And websites are not the only thing that can benefit easily from the new Windows 10 features. The second technology Microsoft announced is the ability to reuse existing .NET and Win32 apps as Universal Applications, as well as extend them with the aforementioned new features. This actually means that all of our traditional Windows applications, like word editors, photo suites and advanced games can easily be made available through the unified Windows Store and even run across devices. Now, there are sure to be a lot of limitations for this feature, especially when it comes to mobile devices, but Microsoft didn’t really go into a lot of detail on the matter. Last, but definitely not least, Windows 10 will show a lot of love for existing Applications on other platforms as well, namely Android and iOS. But, before you rejoice that you can use most any app on Windows 10, it is, in fact, a bit more complicated. The new technology offers easy conversion and reuse tools and not direct crossover compatibility, so, naturally, some code modifications will be required. 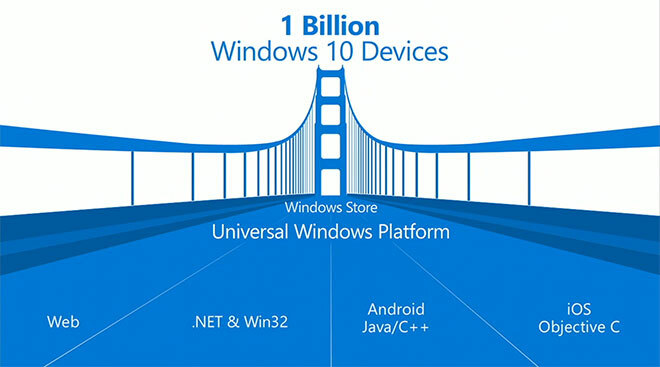 One again, Microsoft did not really clarify how much modification will be involved in converting a given app, but the demo did feature both Java and C++ code meant for Android, as well as Objective C, written for iOS run on Windows 10 on both a PC and a mobile phone. This could potentially be huge for Windows 10 and naturally inspires a vision of running any app on a Windows device, but the process is still far from straightforward and does require a lot of effort from developers. So, at the end of the day, the success of Windows’ new ambitious cross-platform approach depends on third-party support and how well the company is going to pitch itself as a prospective app ecosystem.